Lisa Reilly, Executive Director, has worked with the European Interagency Security Forum (EISF) since 2011. She has over 16 years experience in the development and humanitarian response sector, working overseas in a variety of programme management roles in both Africa and Asia. Returning to the UK in 2009 Lisa took up a position with RedR as Security Trainer developing and implementing personal security and security management courses, as well as undertaking a number of short-term consultancy projects backstopping and evaluating humanitarian response programmes. Starting as an engineer, Lisa’s security knowledge comes from implementing programmes in various conflict and post-conflict countries, subsequently enhanced through working with a variety of sector experts and on a number of research projects since her return to the UK. In her current role, Lisa exercises overall responsibility for the EISF Secretariat, supporting the collaboration and exchange of information and best practice between EISF members and EISF’s wider network of humanitarian security risk specialists, as well as liaising with and acting as a resource for UN agencies, academic institutions, donors, etc, to develop appropriate policies and best practice in humanitarian security risk management. 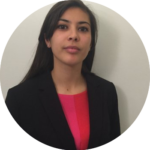 Adelicia joined the EISF as Research Advisor in June 2016. She brings with her eight years’ experience working in key international non-governmental organisations and research institutions supporting their humanitarian, human rights, and development work in developing countries across Asia, the Middle East, Africa, and Latin America and the Caribbean. Adelicia has coordinated humanitarian response plans and activities at head office, regional and field levels for Save the Children and Merlin. She has worked across several sectors, including health, nutrition, WASH, child protection, and food security and livelihoods in major humanitarian crises over the past two and a half years, supporting responses in the Philippines, Nepal, Syria, Yemen, Iraq, South Sudan, CAR, Colombia, Central America, and Europe. Adelicia began her career in the fields of advocacy, campaigns, and research, supporting the work of Amnesty International, Chatham House, and the British Red Cross. Adelicia speaks English, Italian, German and Spanish with a Mexican accent. 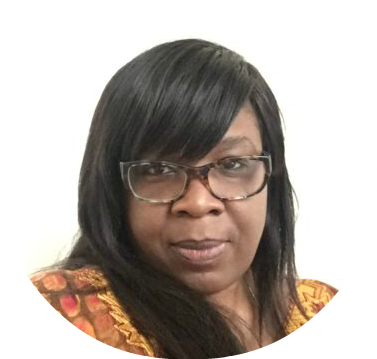 As Research Advisor at the EISF, Adelicia is responsible for producing original research papers, articles, blogs and guides that help share and promote best practices in security risk management within the humanitarian sector, with the aim of building the capacity of security and risk managers. Mahoo Lyimo joined the EISF in January 2018 in the newly created EISF Operations Support Coordinator role. Having qualified as a solicitor at a leading city law firm she subsequently moved into the international development sector working with a number of small and medium-sized NGOs. Her latest role was at Transparency International UK where she managed donor relationships, composed funding proposals, coordinated the M&E and managed internal databases. Mahoo studied Law at the London School of Economics and Political Science and went on to complete a Masters in Development Studies at Birkbeck University. In her role, Mahoo is responsible for developing and managing key operational and finance systems. She will help to drive effective systems and processes that help EISF meet its objectives and better support its members. Helene Cardona joined the EISF in September 2016 as the Projects and Membership Officer. She previously worked as a researcher, caseworker, and interpreter for asylum seekers and refugees with the British Red Cross. She managed volunteers campaigning and engaging with their Members of Parliament as a Political Activism Coordinator with Oxfam. Her latest role was with the ICRC-based Health Care in Danger Project where she supported team members and partners to protect health care workers and health care provision. She studied Politics at the University of Glasgow and Human Rights at the London School of Economics and Political Science with a focus on international development and humanitarian issues. Helene is a native French speaker and knows a little Spanish. In her role Helene is responsible for further developing and maintaining the member support services component of the EISF as well as supporting the EISF Secretariat. She is also in charge of organising the EISF forums and other events. Justina Amenu joined EISF in September 2014. 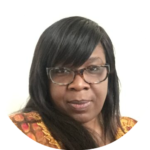 She has over 10 years experience in working with non-profit organisations – managing membership, event organisation, and general administration. Having completed her first degree, a BA in Economics with Sociology in Ghana, Justina moved to the UK. Her experience with NfPs begun as an administrator with the Petroleum Exploration Society of Great Britain, PESGB. She steadily increased her knowledge and experience by working with The InDus Entrepreneurs UK and Society for Editors and Proofreaders Ltd. In between moving jobs, Justina obtained a Masters in Business Administration. Justina is currently responsible for the administrative function of EISF – providing essential support to the team and introducing new ways of working to help the organisation run smoothly. 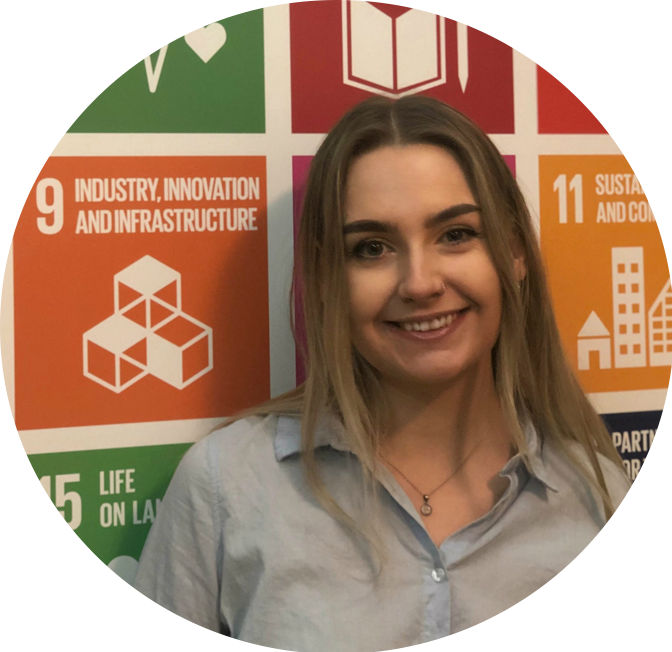 Aisling Sweeney joined the EISF team in January 2019 and is undertaking our first year-long traineeship. After graduating in 2017 with a degree in Sociology from the London School of Economics and Political Science, Aisling volunteered with a small NGO providing basic needs and education for refugees on the Greek island of Leros. In 2018, Aisling moved to Morocco where she taught English. Her latest role was with UNDP in Georgia, during which she worked as Project Intern supporting national governance reform. 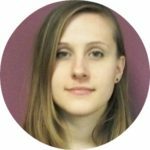 Aisling supports the EISF Secretariat through projects and research related tasks, such as maintaining the website, updating communications and social media, and assisting with EISF forums and other events.